On the south bank of the Imjin River, Korea, the 25th Infantry Division was dug in, waiting for the Chinese Army to attack. Three battle-hardened regiments - the 24th (Eagles), the 27th (Wolfhounds) and 35th (Cacti) - were holding the sector near the confluence of the Imjin and Han rivers where the Chinese were expected to strike. As the soldiers listened to the peculiar, high-pitched wail of the wind that came in from the Yellow Sea, whipping up little twisters of snow as it bit into the north bank where thousands of North Korean refugees were huddled, one G.I. mirthlessly commented, "Carols. Wind's singing us a carol." It was the day before Christmas, 1950. Our biggest nightmare was the refugees. 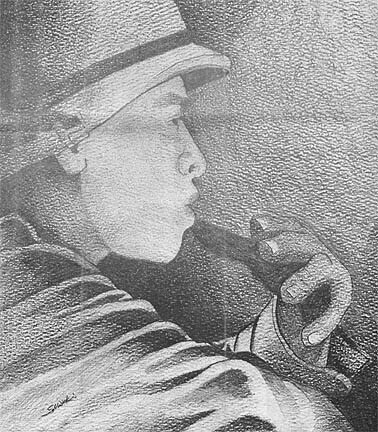 Between the 25th Division and the Chinese were some 40,000 North Korean civilians. It was an ironic paradox that these people feared the Chinese communists - their "allies" - more than death itself, and fled from their approach. They were mostly women, children and very old men - for the North Korean Army had conscripted all able-bodied males. THERE WE WERE - an outnumbered army in a tactically indefensible position, with thousands of refugees in our line of fire. What we saw across the river was hard to take. The refugees were starving, and we had no food to give them. They were dressed in cotton rags in weather that dropped to five degrees below zero; yet, if they lit a fire, our patrols were forced to put it out, for fires would attract the enemy. The men of the 25th were confused about these people. They had no love for them, for they knew of the savageries perpetrated by North Korean civilians upon our wounded and captured soldiers. Yet, as they silently watched the ragged, starving women and children pass through their lines before the embargo was clamped on, they were reminded of their own women and children back home. They wanted somehow to help. But they didn't know exactly how. THE ANSWER came on this day before Christmas. It had been a rather special day. We had expected the Chinese attack to come on Christmas Day - as it turned out, it did not come until New Year's Eve - so headquarters had ordered that we feed our men Christmas dinner a day early. The quartermaster worked a minor miracle and brought a hot turkey dinner right up to the front-line troops. Turkey and all the trimmings - including stuffing, cranberries, sweet potatoes, rolls and real butter - even candies and a choice of mince or pumpkin pie. What really tickled the men, though, was that packages from home came through, just in time for Christmas. Expecting the Chinese to strike, no one heeded "Do Not Open Until Christmas" instructions. Front-line foxholes were bulging with cakes, tinned delicacies, socks, mittens and the like. I HAPPENED TO BE at the front lines all afternoon in connection with my duties as Division G-2 (Intelligence officer). I stopped in the area held by the 35th Infantry, leaned over a foxhole and asked the soldier occupying it who he was and how he was doing. 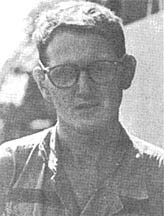 He hopped out and told me he was Private First Class Stanley Crowley, of Birmingham, Ala., and that he was doing all right. He was a red-haired, freckle-faced rifleman, nineteen years old. He was not particularly chunky, but he looked enormous because of the six layers of clothing he was wearing as protection against the subzero weather. "Let me show you what I got for Christmas, colonel," Crowley drawled. First, he produced a wool scarf; then, commencing an odd sort of striptease, he pulled back layer after layer of clothing, finally coming to the object he had next to his skin. It was a fruit cake. "Got it here to keep it from freezing," he explained. JUST AT THAT moment there was a diversion. A band of refugees, utterly desperate, decided - orders or no orders - to cross the river. The stampede - and hundreds came across before we could stop it - was led by a woman with three children. It was low tide. She waded through the ice-clogged water that came above her waist. With one arm, she carried a child of about three; with her other arm, she supported a second child of about five so his head was above water. The third - a boy of about seven - had to make out for himself. These four were the first to reach the south bank, and they started running right through the 35th's position. When they reached Private First Class Crowley's foxhole, they stopped, for Crowley was standing in their path. HE LOOKED AT the woman. She returned the gaze from black, sunken sockets. He looked at the children. Their lips were cracked and bleeding; their fingers bluish with frostbite. The oldest boy had slipped and gone in over his head in crossing; his hair was frozen into icy wisps. Slowly, from around his neck, the red-haired boy from Alabama unwound his Christmas scarf. "Here, take it," he said. She drew back. At first she was afraid, but Crowley kept holding it out, and finally she took it. She looked at her children to see which needed it worst. She settled on the oldest boy, who was shaking so violently he hardly could stand. THEN CROWLEY again began his curious strip-tease with the six layers of clothing. He brought out his fruit cake from home and handed it to her. Again she hesitated. Then she took it. She broke off three small pieces and handed a piece to each of her children. None for herself. She handed the cake back to Crowley. By gestures, he conveyed that she was to keep it all. She stood expressionless for a moment. Then she bowed deeply to Crowley, and motioned for each of her children to bow. While this was going on, other refugees were watching. So were the men of Private First Class Crowley's company. No one said anything, but, spontaneously, a sort of spiritual chain reaction began. Crowley had shown them what to do about the refugees. OUT OF THEIR foxholes came the soldiers, bearing gifts for the North Koreans. They gave gloves, mufflers, food from their own rations, cakes and delicacies from the U. S. A. Some of the soldiers made second trips into their foxholes and came back with blankets and shoe-pacs; others peeled off jackets and draped them around wet, shivering children. The whole thing was done almost in dead silence, though some of the boys said things like "Merry Christmas, Joe" or "Happy New Year, little girl" as they passed out their presents. IN THE MIDDLE of it all, up raced the battalion commander in an open car, ready to chop off heads for the flagrant security breach. What the hell was going on, he wanted to know. He found out. Before he left, he passed out a pocketful of hard candy to Korean kids. He also turned his head when his driver gave away the blankets in which they had been swathed when they drove up. 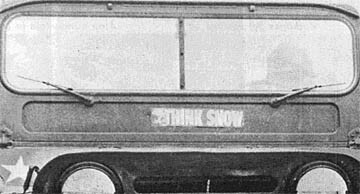 "Sure cold today, colonel," said the driver cheerfully. "Drive on," said the colonel. SLOWLY, Operation Santa Claus subsided. South Korean police managed to choke off the flow of refugees. Those who had come over were directed to a railroad track and told to start walking south - fast. Then the soldiers returned to their foxholes. Materially, they were poorer; militarily, they had done a risky thing. The only thing about it was that the men of the 35th, holding their sector of the 25th Division's battle line, all felt so good that evening. There was no peace, but there was considerable good will, on the south bank of the Imjin on that Christmas Eve, 1950. 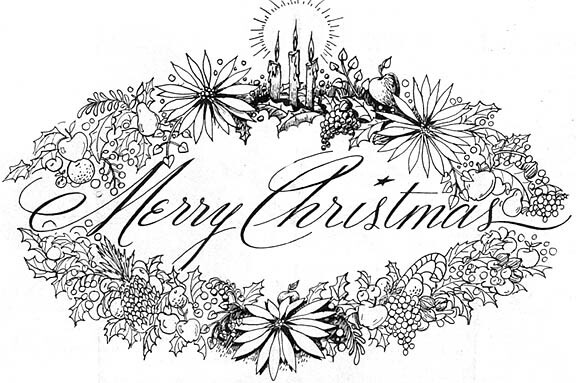 Many Americans, immersed in the tradition and festivities of the holiday season, lose the original meaning of Christmas. Too often it is the Christmas spirit and the exchange of gifts that engage our thoughts. But the soldier in combat thousands of miles from home finds a special poignancy in the original Christmas spirit of "Peace on earth, good will toward men." In this war torn land, we are vividly reminded that peace and good will are very precious. However peace is not found in the subjugation of a people. Good will is not generated by abdication of responsibilities. True peace and sincere good will are the goals of our efforts in Vietnam. The sacrifice of selfless service by the soldiers of the 25th Infantry Division in this war and others has helped make possible the freedom which allows others to enjoy the blessings of this season. This holiday season heralds a new year with the renewed hope that peace will become a reality for the people of Vietnam. To all Tropic Lightning soldiers and their families, my best wishes for the holiday season and the new year. PATROL BASE' KOTRC - 25th Division border outposts such as this can be a lonely place for GIs dreaming of white Christmases back home. But thanks to a group of young housewives in Long Beach, Calif., a little of stateside Christmas was gift wrapped and sent to members of the 2d Platoon, Bravo Company of the 2d Battalion, 27th Infantry Wolfhounds. The young women belong to a social sorority, Tri Alpha Chapter, and generally are between the ages of 25 to 35. "What. they wanted to do was write to a squad of men in Vietnam, get to know them and send a bit of home," said Sergeant Frederick Boshaw of Monroe, Wis.
"When we were working out of Phuoc Luu village we first started to receive letters," Boshaw said. "Then the Thanksgiving cards came and now they have us snowed under with Christmas cards and food packages." "The best gift that we got from them was a Christmas tree with a big candy cane," said Specialist 4 Solon Ralston of Dallas. "We call it the frag tree. We had to weigh it down with fragmentation grenades so the chinook helicopters that bring our resupply won't blow it over." 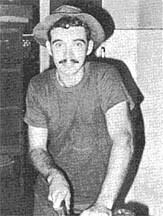 TAY NINH - When the mess sergeant for Charlie Battery, 7th Battalion, 11th Field Artillery, Sergeant First Class Edwin Borrero of Guayanilla, P.R., first procured Bozzell the turkey some 14 months ago, he had a fresh turkey dinner in mind. But Bozzell turned out to be such a likeable cluck that the mess sergeant just couldn't cook a friend. So Charlie Battery lost a turkey dinner and gained a mascot. Borrero made sure the bird had plenty to eat, and that whenever the battery moved, Bozzell got a ride. But finally the kind-hearted cook saw his DEROS roll around and the two friends had to part. 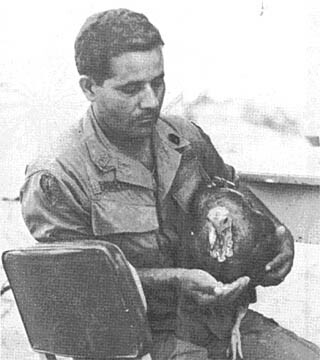 Later Borrero returned for a second tour in Vietnam. When he was sent back to Charlie Battery, who should he find still gobbling around but Bozzell. Old acquaintances were renewed and everything was fine until the holiday season this year approached. It seems some of the infantrymen at Fire Support Base Hunter began to eye the feathered friend and think how good he would look covered with cranberries instead of feathers. But Borrero saved the bird again, and locked up the potential feast until the troopers' turkey fever cooled. FSB JACKSON - When Santa Claus makes his yuletide visit to this 3d Brigade base, he will be pleasantly surprised to find a Christmas tree on one of the bunkers. 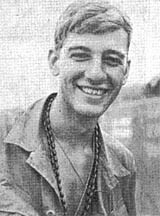 The tree belongs to Private First Class Chuck Rundgren of Lake Villa, Ill., a member of Delta Company, 2d Battalion, 27th Infantry. A synthetic fir, it came complete with base, ornaments, stockings and electric lights. "It was in a Christmas package from my sister," explained Rundgren. "Because of the hot weather, it's hard to get in the Christmas spirit, but the tree is really helping out." Rundgren and his fellow troopers spend as much time as possible reminiscing around the tree. "My buddies helped me put it up. Everyone got a big kick out of it, and people passing by usually stop to admire it," he said. "I take it inside the bunker when it rains and when it gets dark," said Rundgren. "It would be nice if I could leave it out at night but it would make a good target for any Viet Cong who might be sitting outside the wire." The fellows in Rundgren's platoon are talking about putting gifts in stockings and hanging them around the tree. TAY NINH - A mobile unit of the Military Affiliated Radio System (MARS) recently visited the men of the 2d Battalion (Mechanized), 22d Infantry at Fire Support Base Wood III, giving the men in the field the opportunity to make that special call home during the days just before Christmas. 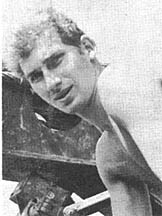 Leaving Tay Ninh base camp in a two and a half ton truck, Specialist 4 Robert Shields and Private First Class Warren Loomis began a week's stay at Wood in Tay Ninh Province. 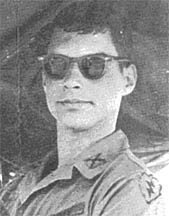 The army's special services felt that their seven permanent MARS stations around Vietnam (including one each at Tay Ninh and Cu Chi) weren't enough. With their portable van and home-made antenna, made by the Cu Chi MARS station, the two men set out for the troopers in the field. Setting up is virtually a non-time-consuming task. "A few wires here, and a few knobs turned there and we're ready to go," said Shields of Woodsberry, N.Y.
Delta Company of Triple Deuce supplied the first anxious callers. Drivers Sergeant William Sager of McAlester, Okla., and Specialist 4 Joseph Masa of Fayetteville, N.C., were the first to make their calls. The mobile MARS unit will continue travelling throughout the field with its portable van so other GIs can make that much anticipated call home, to participate, in a small way, in their family's Christmas. SP4 Ray Songs of Waney, Kans. : "All I want for Christmas is my two front teeth." 1LT Albert Flagg, Jr. of St. Albans, Vermont: "A gallon of Vermont maple syrup." 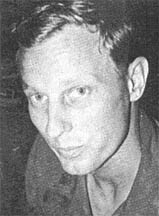 PFC Earnest Shoemaker of Alexandria, Va.: "A long, hot shower." 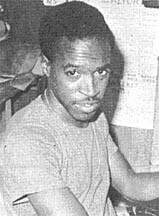 PFC Luther Bullock of San Francisco: "Get back to UCLA to work on my Master's." PFC Danny Baker of Marietta, Ga.: "A 350 day drop so I'd be short." SP4 Richard Kromminga of Clarksville, Iowa: "A day off! " 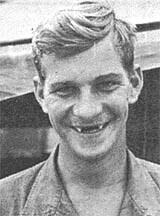 SP4 Billy Otis of Seneca, S.C.: "To go to the US and visit Bob Hope instead of having him come over here." SP4 Joseph Barber of Philadelphia: "Off the duty roster and a bottle of wine." SP4 Tim Crowley of So. St. Paul, Minn.: "Some Ripple wine, a can of stemmed mushrooms and a Duncan yo-yo." 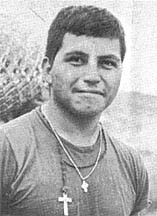 PFC Polo Zavala of Lawndale, Calif.: "To have the peace demonstrators spend Christmas here." SP4 Phil Overway of Holland, Mich.: "A typewriter that works." 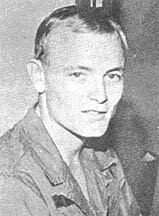 PFC Joe Raber of Holden, Mo. : "To be there to watch Kansas City play in the Super Bowl." 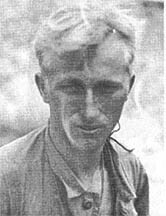 SGT Murray Sterling of Missoula, Mont. : "Linda." 1LT Gerald Lichen of Manhattan, N.Y.: "To know if Paul McCartney is really alive." SGT John Neese of Fergus Falls, Minn.: "A pair of Head skis and a snowy mountain to ski on." SGT Charles Wartchow: "A snowball fight." SP5 Albert Davis of Columbus, Ohio: "To see my baby daughter for the first time." 1LT Matt Vierra of San Francisco: "6000 dancing girls." 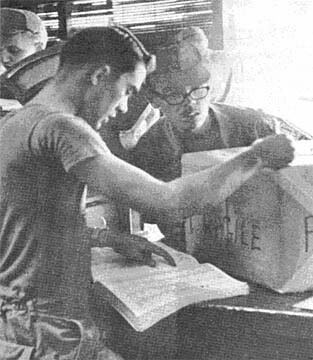 PFC Frederick Byrum of Chicago: "A new ice machine for the mess hall. SP4 Bob Forsythe of Hartford, Conn.: "To spend Christmas Eve in front of a fireplace with my favorite Doughnut Dollie." 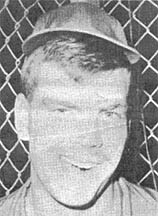 SP4 Paul Marshall of Haytie, Mo. : "No 'bush Christmas Eve." SP4 Ed Bitting of Ardsley, N.Y.: "To have my girl fix Christmas Dinner for me so I wouldn't have to cook." SP4 Darrel Iseli of Strasburg, Colo.: "To spend a snowy Christmas eve in the Colorado mountains with my girl." SP4 Wayne Morgan of Wartburg, Tenn.: "A soft bed and two weeks of nothing but sleep." SGT Jack Ressler of Columbus, Ohio: "... my replacement." 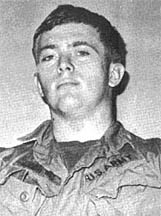 PFC Freeman Backus of Gary, Ind. : "Peace for all my brothers." DEAR SERGEANT CERTAIN: Can you give me some ideas on how to spend a Merry Christmas while I'm in Vietnam? (2) Show, USO, Hope, Bob. Unless you're deaf, blind, dumb, and haven't watched television in the last 25 years, this Christmas SOP needs no explanation. (3) Gifts, mailed, Aunt Genevieve's. Even though the temperature averages 95 degrees, it is nonetheless SOP for your old-maid aunt to mail you a hand-knitted sweater to "take the chill off the evenings." (4) Cake, fruit, home-made, Granny's. That peculiar blend of fruits and nuts which is designed to bring good things from the kitchen into your C-ration-glutted life. Especially good if she remembers to add brandy to the mix. One final hint: nuoc mam gives a great kick to egg nog. 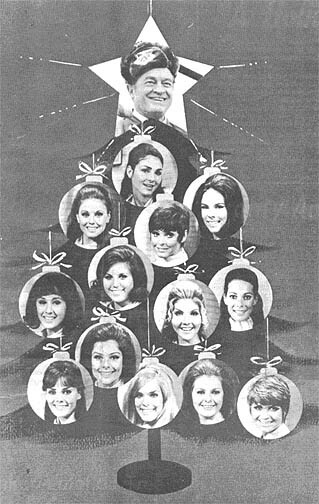 So have a "Christmas, Merry" and a "Year, New, Happy, 1970 (one each) !" 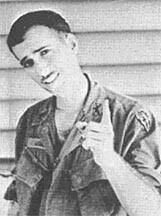 DEAR SARGE: My first sergeant says he has arranged so that it WILL snow on Tay Ninh base camp so that we can have a White Christmas. I think he's putting me on. What's your opinion? DEAR I: Well, after all, does it make any difference? I mean, does Tay Ninh base camp have any tree tops to glisten or children to listen for sleighbells in the snow? However, if in all your Christmas cards you've written "may your days be merry and bright and may all your Christmases be white," I suggest you remember that the last time it snowed in Tay Ninh Province, all the water buffaloes went on a rampage and decorated Nui Ba Den with lights and ornaments, thus creating the largest Christmas tree this side of Times Square. Tell your first sergeant that. 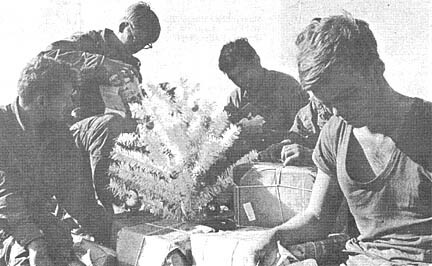 TAY NINH - Thanks to the folks in a dusty prairie town in Kansas, this year's Christmas will be a little more plentiful and cheerful for the men of Alfa Company, 2d Battalion (Mechanized), 22d Infantry. The town's residents, in true Yuletide tradition, got together and sent the unit more than 200 cards and more than 25 packages - not to be opened until Dec. 25, of course. A LETTER from First Lieutenant Bill Cook, Alfa Company executive officer, from Gardner, Kans., prompted the high school student group, "Singout Gardner," to adopt the men of Alfa Company as part of the community family this Christmas. Gardner is a small Kansas town of about 2,000. Citizens of Gardner contributed more than $250 to purchase gifts consisting of candy, shaving cream, soap and other personal items which were individually packaged and sent in large boxes. 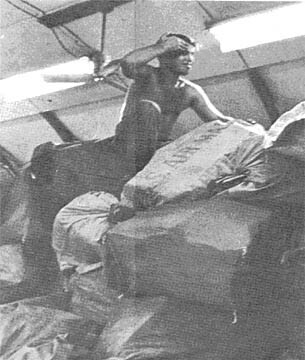 These boxes will be unpacked and the contents individually distributed during a company Christmas party, planned by Captain Michael M. Kush, Alfa Company commander. A fund drive helped purchase the gifts. Members of the American Legion, Lions' Club, Jaycees, and the Gardner Football team, among others, helped write the letters and pack the gifts. The Cramer Chemical Company of Gardner donated soap and postage for the gift packages and letters. CU CHI - You might say that a tour in Vietnam could well be remembered as the summer we missed being home for Christmas. For those soldiers of Tropic Lightning who are "short," the holiday season away from family and old friends may be hard to take, but they'll be home soon. But what about those who have just arrived in Vietnam? They left the world only a couple of weeks ago. What are their thoughts these days before their Christmas in Vietnam? Here are some answers given by the new guys in the 2d Battalion, 14th Infantry. 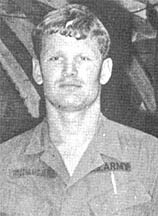 PRIVATE FIRST CLASS Larry E. Martin of Tarbor, N.C., said, "I was really one of the lucky ones. My family celebrated Christmas before I left. It was really a surprise. We had a big dinner, gifts and all. I guess I got pretty emotional about it, too. But it's still not easy to be away." 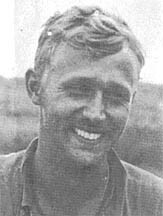 "You can always look on the bright side," commented a new arrival, Captain Paul Merryman of Dauphin, Penn. "How's that?" asked a clerk nearby. "WELL, EVERY year before Christmas," Merryman explained, "I had to go through the hassle with the Christmas rush, trees and presents, and of course the in-laws. This year I'm going to miss all that. Really lucky," he said with an unconvincing smile. PRIVATE FIRST CLASS John P. Camp of Shelby, N.C., said, "It's really pretty tough. You see I've never been anywhere away from home before I got in the Army. I guess I don't know how I'm going to act." "I've got a little boy at home," said Sergeant Warren Brockmyre of Delta Company Golden Dragons. "This will be his first Christmas. I'd give anything to spend it with him. But maybe by being here now, my son will be able to spend his Christmases wherever he wants when he is my age." The Christmas rush! What does that mean to you? It may mean Christmas presents and fruitcakes - turkey dinners, egg nog and mugs of hot buttered rum in front of a crackling hardwood fire on a cold winter's night. 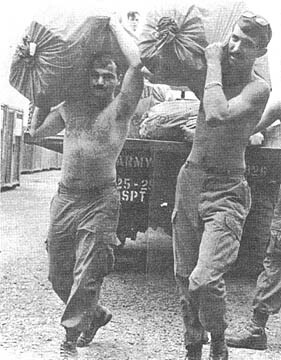 But to the men who work at the 25th Infantry Division's American post offices (APOs) 96225 at Cu Chi and 96385 at Tay Ninh it means moving mountains. Mountains of mail, that is. The seven men at Tay Ninh's APO expect to handle about 162,400 pounds of mail during December, while the 38 men at Cu Chi's APO will process more than 850,000 pounds. 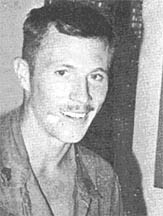 Sergeant Chester Hobbs of Houston, a Tay Ninh postal clerk, stated that the volume of mail at his APO has more than doubled during the holiday season. 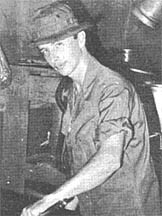 SERGEANT George Custer, Jr. from Petersburg, Va., NCOIC of the Cu Chi APO says, "During this rush period, unit mail clerks may have to come back here three or four times per day, whereas they usually only have to pick up mail once a day." "The daily volume started climbing noticeably at the beginning of November," remarked Hobbs, "and it will keep rising until just before Christmas. After that, it should start tapering off and we will have only a few heavy days and some will be almost back to normal." THE VOLUME OF registered and insured packaged has also doubled according to Specialist 4 Mark S. Davidow, a Tay Ninh postal clerk, from Grove, N.J.
Staff Sergeant Andrew Carter, NCOIC of The Tay Ninh APO, from Albany N.Y., stated that he expects the backlogged mail to be one of the biggest problems this season. That includes re-direct mail, mail with incorrect addresses and mail that might be stacked up in Oakland or Seattle waiting for room on the transport aircraft and ships. "One of our problems is transport from Saigon Air Mail Terminal," said Hobbs. "They must contend with the heavy influx of mail during the rush period while using the same number of planes for transportation. These aircraft still have to carry the same number of passengers and this sometimes causes mail to be held up." EVEN SO, the mail is not taking much longer to arrive than during normal months, claims Specialist 4 Wayne Lively, another Tay Ninh postal clerk, from Oak Hill, W.Va. "The volume of letter mail remains about the same, while Christmas cards add quite a lot to the daily volume," he said. "A letter usually takes about four or five days; SAM, PAL and airmail packages arrive within about eight or nine days," said Hobbs. "During the rush, a letter might take six or seven days and packages take ten days to two weeks. That's because of transportation shortages. There just is not room for all the mail. Some of it must wait for space on a plane an extra day or two." 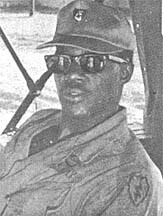 "OUTGOING MAIL is not being delayed, however," added Specialist 4 John Franklin, a Tay Ninh postal clerk from Lexington, Ky. Cargo airlines have added extra planes to handle the increase in flow of mail from Vietnam to the states. "It's a tremendous job to be responsible for seeing that all the men in the division receive the proper postal service," said Captain Richard J.Paynter, officer-in-charge of both 25th Division post offices. "And sometimes that job seems a pretty thankless one. But then I see a man open a package and I can see happiness written all over his face and that is all the thanks I need." 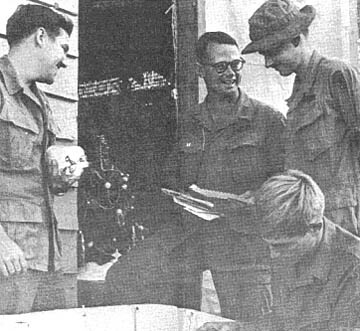 CU CHI - The 1st and 2d Battalion of the 27th Infantry Wolfhounds along with the 1st Battalion, 8th Field Artillery are sending a six-man delegation to share Christmas with the children of the Holy Family Home in Osaka, Japan. "This is the first time since 1966 that the three battalions are able to get together to make this holiday trip," said Captain Patrick Donaldson, S-1 officer of the 2d Wolfhounds - from Worthington; Ohio. THE FIRST Christmas pilgrimage to the orphanage was made in 1949, when the then 27th Infantry Regiment was stationed at Camp Sakai near Osaka. Christmas parties were planned by the different Army units stationed in the area and the Wolfhounds were assigned the Holy Family Home. THE CHILDREN quickly won the hearts of the soldiers who pledged perpetual support of the orphanage and the children. As a result, the Christmas party became an annual affair broken only by two years of war in Vietnam. The three 25th Division units left Dec. 21, bearing gifts and favors for the children. 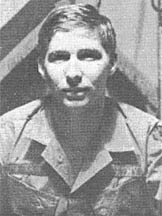 "The Mother Superior of the orphanage sent us a note saying that the children have a full program planned for us and they are quite excited about a reunion with their 'GI father,' " said First Lieutenant Bill Everitt, S-1 officer of the First Wolfhounds from Haddonfield, N.J. Sergeant Bill Fabbricatore, Brooklyn, N.Y., of the First Wolfhounds donated $600 to buy toys for the kids and was fittingly chosen to dress his 215-pound physique in a Santa Claus costume. "We hope that we can brighten their Christmas," said Command Sergeant Major August Myzska of the Automatic Eighth from Columbus, Ga. "But I think that sharing the holidays with these kids will definitely make my Christmas a merry one." FSB DEVIN - "The people back home, are thinking of all of you at this time of the year especially and appreciate the difficult job you are doing here." These were the words of were astronaut Frank Borman. They are spoken to the Bobcats of the 1st Battalion (Mechanized), 5th Infantry at Fire Support Base Devin. Of course, they were meant for all military men serving in Vietnam. "I was briefing the President on our Apollo 12 flight," Borman said, "when he asked if I had ever been to Vietnam. At first I figured I must have said something really wrong, but then the President explained that he wanted me to come over here this Christmas season to express our nation's gratitude to you, the fighting men." Astronaut Borman who is an Air Force Colonel had never been to Vietnam before. However, he recalled flying over it some 237 times. It took him only 17 seconds to make the trip by space craft. When asked about the weather on the moon by an inquisitive Bobcat, Borman took note of the early afternoon shower sprinkling the base and quipped, "Well at least it doesn't rain on the moon very often." 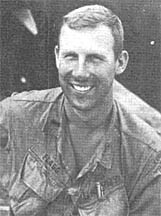 Borman spent nearly an hour at the Fire Support base. He took time to visit a bunker living quarters, buy a cold beer at the field bar, and, of course, pose for hundreds of photos with smiling soldiers. 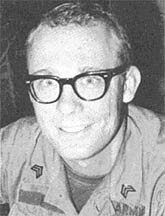 TAY NINH - Having a Christmas tree in Vietnam is no problem for some fellows, but Specialist 4 Brent Stromberg of Salt Lake City, a clerk in S-1 for the 4th Battalion (Mechanized), 23d Infantry Tomahawks doesn't know what to do with all the ones he's received. It seems that a department store in Salt Lake City made a delivery error and sent Stromberg three trees for Christmas. His wife had placed the order and apparently it was handled by several people who placed three separate orders. "I was more than happy to receive one tree," replied Stromberg. "But when two more came through the mail I didn't know what to think." The department store later realized its mistake and sent a note to Stromberg wishing him a Merry Christmas and telling him the trees were a gift from the store. 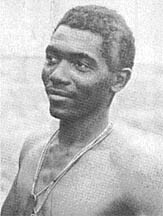 CU CHI - "We have $735 that we are just itching to spend on men in the division, but so far we have only had one taker, and he took only five dollars," says Sergeant Kenneth R. Pekar of Brooklyn, Ohio, who is in charge of the 25th Division's "Jo's Operation - Telephone Home." 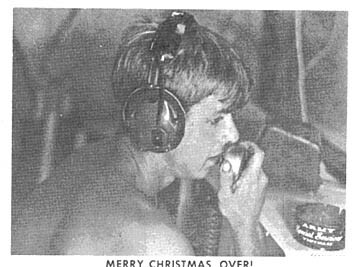 The operation constitutes a way for field troops of Tropic Lightning who are on standdown at Cu Chi's Waikiki East or Tay Ninh's Holiday Inn to make a call home through the Military Affiliated Radio System (MARS) at virtually no cost to themselves or the persons to whom they call. "JO" IS THE military nickname for a 69-year-old woman - Miss Josephine McDonnel of Owosso, Mich. - who has dedicated more than 21 years of her life to organizing civilian funds to give GIs some of the things that the military sometimes cannot provide. Now she's financing "Jo's Operation - Telephone Home" by collecting money from various civilian social groups and sending it to the 25th Division's G-1 Section, which organized the operation within the division. 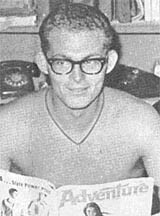 THERE ARE three requirements which Tropic Lightning infantrymen must meet in order to be nominated to take advantage of "Jo's Operation - Telephone Home." 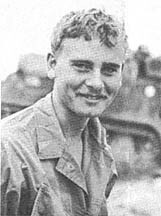 He must belong to a unit which is on stand-down at either Cu Chi or Tay Ninh, he must be E-7 or below in grade, and he must have served at least five months in Vietnam. THEN, IF he is selected by his company to participate in the program, his company commander will notify the local MARS station of the man's name and grade. The selected caller will receive priority over all other routine callers. After the call has been made, G-1 sends a check for five dollars to the person to whom the call was placed. "We have enough money for exactly 146 men to call home," says Pekar. "If everyone used up all the money in our fund, it would make everyone happy." 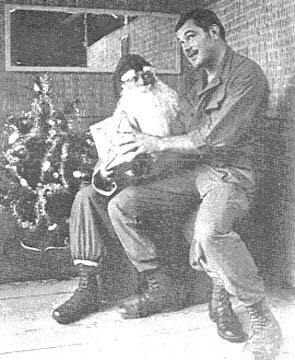 CU CHI - It's a busy time of year for him, but with a great deal of difficulty, this reporter managed to interview the rosy cheeked, white-bearded, jolly man whose bag happens to he a bag of gifts - Santa Claus. "As you well know this work is strictly seasonal," Claus commented. "This is the season, however, so I'm pretty rushed at the moment." "YOU SEE, in addition to visiting all the homes in America, Europe, South America and so on I have also got to hit base camps and fire support bases in Vietnam. Of course, most of the men in the 25th Infantry Division have been good so I'll have to bring them more gifts than to the other divisions," said Santa with a smile. "SANTA," otherwise known as mild mannered Captain Fletcher Wideman of Huntsville, Ala., chaplain for the 2d Battalion, 14th Infantry Golden Dragons, got his start in the Christmas show a year ago while serving in Thailand. "This year," Wideman explained, "I asked Lieutenant Colonel Gene Little, the division chaplain, if Santa Claus needed an experienced helper out in the Golden Dragon's area of operations. Instead I was given the responsibility for being Santa Claus for the whole division!" SANTA CLAUS will be distributing about 10,000 gifts this Christmas throughout the division. It will be quite a task, but Chaplain Wideman will be getting by with a little help from his friends at the World Council of Churches. As a result there will be a gift for every man in the Tropic Lightning Division. Captain Claus let it be known that the biggest problem would be delivering all the goodies. "I won't have a sleigh, eight tiny reindeer, chimneys or snow. A flak jacket doesn't go too well with my red suit either."